This CD is a three-hour lecture with questions from the audience on the material in Do I Have To Give Up Me To Be Loved By You? It includes role-plays around different relationship conflicts and shows how to resolve conflict with the intent to learn. 99 Things Women Wish They Knew Before Dating After 40, 50, & Yes, 60! 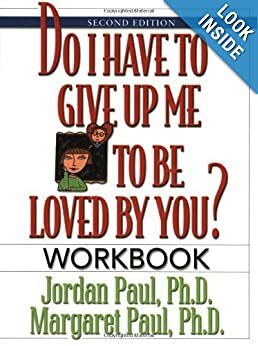 This is a powerful book for people in primary relationships. 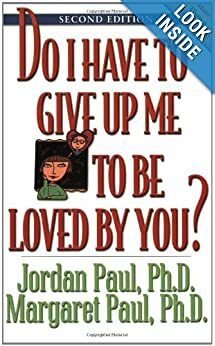 This best-selling book has become a standard text in many college counseling classes that deal with relationships. It has sold over 1,000,000 all over the world. “Arguably one of the most extraordinary books on relationships ever written.” —Jack Canfield, Coauthor, Chicken Soup for the Soul Series. This workbook goes deeply in helping you understand the differences between the intent to learn and the intent to protect – within yourself and within conflict in relationships. There are many different exercises to understand your intent, as well as to understand the expectations you might have with your partner, children, and friends. Working through the workbooks helps you to more deeply understand intent. Includes bonuses worth more than $145! Discover 41 Specific Solutions for 41 Common Behaviors. Find out how one mom got her son to stop watching TV and do his homework on page 14. Learn how this mother handled her fussy eater with the feedback formula on page 19. On page 35 learn how one dad dealt with his son who snuck out to play without doing his chores. Teach your kids the 6 rules for solving their fights on page 38. Find the Cell Phone Contract you can start using today on page 32. Discover 4 motives why your kids tattle and what to do about them on page 43. Are you strong enough to love, or do your fears of rejection, abandonment, and engulfment keep you from being able to fully love? This relationship book takes you on a healing journey to being able to create truly loving relationships through the Inner Bonding® process. Chapter 1 – Discover 5 Secrets from Long-Time Lovers that Will Strengthen Your Bond with your Partner. Chapter 2 – Conquer 5 Marriage Traps You Must Escape! Chapter 3 – Use This Formula to Create Love Magic Every Time. Chapter 4 – Learn These 21 Dating Tips to Increase Respect and Deepen Your Love. Chapter 5 – Enjoy Our Romantic Dates and Coupons. Most Won’t Cost You a Penny. Rosalind specializes in coaching parents on issues related to divorce and separation. She focuses on behavior, acceptance, communication and other challenges children face before, during or after a divorce. In addition Rosalind also coaches about self-esteem, communication skills, dating and other topics to help parents move on to the next chapter in their lives. To learn more about Rosalind’s coaching services — via telephone or in person — send an email to divorcepro@gmail.com with a brief summary of your needs. Rosalind will get back to you with details about working together! 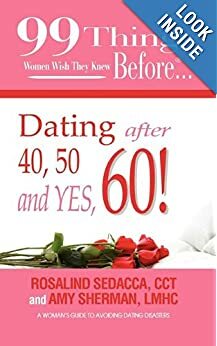 If you’re a woman over age 40, you can now take advantage of in-person or telephone coaching sessions with Dating Coach Rosalind Sedacca, CCT, co-author of the new book, 99 Things Women Wish They Knew Before Dating After 40, 50 & Yes, 60! Rosalind understands the needs, challenges and insecurities mature women face in finding meaningful relationships. She provides a compassionate ear, insightful awareness and powerful techniques — that really work! To learn more about Rosalind’s coaching services for women who want to date smarter and have more fun, send an email to rosalindwrites@gmail.com with a brief summary of your needs. Rosalind will get back to you with details about working together!